The new musical “Waitress”, based upon the motion picture written by Adrienne Shelly, is “peachy” as well as several other flavors. It is based on a book by Jessie Nelson. Tickets are available at the National Theatre until June 3. On this latest edition of INTERVUE: Today’s guest has been featured in such Broadway shows as Les Miserables, Wicked and Annie. She has also been featured in the national tours of Evita and Wicked. As a singer-songwriter, her music can be found on both Spotify and iTunes. Now, she’ll be baking her way across the country as Jenna in the brilliant movie turned Broadway musical “Waitress” coming to the National Theatre May 15th– June 3rd. The penultimate production of Mosaic Theater Company’s third season will be a remount Hooded: Or Being Black for Dummies, written by local rising star Tearrance Arvelle Chisholm and directed by Mosaic’s Managing Director Serge Seiden with Associate Director Vaughn Ryan Midder. Mosaic’s first production of Hooded: Or Being Black for Dummies is currently nominated for the Charles MacArthur Award for Outstanding Original New Play, which gives DC audiences the rare opportunity to see a nominated production during the same month as the awards. August Wilson’s masterpiece drama on the civil rights movement, Two Trains Running, will receive an additional five performances during its run at Arena Stage at the Mead Center for American Theater. Under the direction of Juliette Carrillo and in a co-production with Seattle Repertory Theatre, Two Trains Running now plays through May 6, 2018 on the Fichandler Stage. 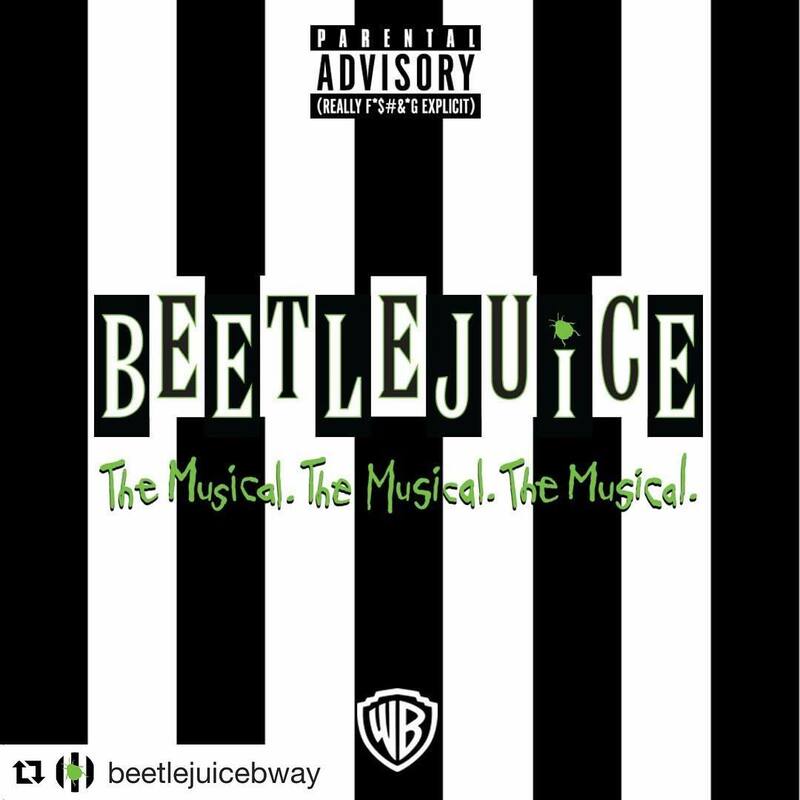 The National Theatre confirmed today that the pre-Broadway world premiere of the new musical comedy BEETLEJUICE will open its 2018-19 “Broadway at the National” season. This will be the second consecutive year the National Theatre opens its season with a pre-Broadway world premiere, following last season’s sold-out engagement of MEAN GIRLS. Arena Stage at the Mead Center for American Theater announces Drew Gehling (Waitress, Jersey Boys) will play both President Bill Mitchell and the title role in Dave, the world-premiere musical debuting this summer, based on the blockbuster Academy Award-nominated comedy. The production, by three-time Tony Award winner Thomas Meehan (Annie, Hairspray, The Producers), Tony Award nominee Nell Benjamin (Mean Girls, Legally Blonde) and Pulitzer Prize and two-time Tony Award winner Tom Kitt (Next to Normal, If/Then), is directed by Tina Landau (SpongeBob SquarePants: The Broadway Musical) and will run July 13-August 19, 2018 in the Kreeger Theater. WAITRESS, the Tony Award-nominated musical making its Washington, D.C. premiere at the National Theatre from May 15 thru June 3, 2018, is looking for two young girls to perform the role of Lulu during the national tour’s D.C. engagement. The stage is set when a charming minstrel, (Nick Rashad Burroughs) graces the stage to set the scene to welcome us to the Renaissance in London, England. His funny exaggerated facial expressions are amplified when the entertaining ensemble joins in the welcome song to add enjoyable dance moves to amuse the audience. They sing about new modern things which makes the audience laugh, as they are old to us. The tone was set for comedy and the cast delivered. Theater Alliance kicks off 2018 with Idris Goodwin’s The Raid, an imagined debate between two American icons. On the eve of the raid on the federal armory in Harpers Ferry, John Brown and Frederick Douglass argue the merits of violence and pacifism, order and chaos, and the possibility of a nation free of the scourge of slavery. Strathmore and Beth Morrison Projects will present the world premiere of Iron & Coal, a theatrical concert by composer/lyricist Jeremy Schonfeld and director Kevin Newbury, in the Music Center at Strathmore on Thursday and Friday, May 3 and 4, 2018 at 8 p.m.